That’s where we come in – Sanford and Son Junk Cars is a locally owned company specializing in junk car removal in Riverdale. When you call us, you deal directly with a friendly, knowledgeable and professional car removal expert. Let us show you what countless car sellers just like you already know: We pay the most for junk cars and offer same-day haul away service. You get rid of that clunker and get cash in hand! 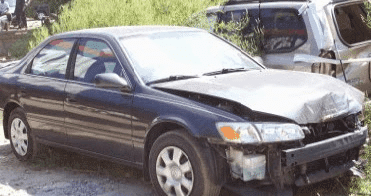 If you are having problems with your old car, visit our troubleshooting guide for some basic ideas on how to salvage it. We look forward to hearing from you soon! Remember, we offer same-day service in most cases. If you live in the Riverdale, GA area or Clayton County, Georgia and you have a junk or unwanted car you are looking to sell, then look no further! We buy cars from the public and pay cash for junk cars on the spot. Running or not, wrecked, rusted or on fire. We will pay you cash on the spot for your car. We will even send a tow truck out to you free of charge to pay you and tow the vehicle away. We buy all cars, trucks vans and SUV no matter the condition. The process is so easy, that you might get a little spoiled and wish every company operated like us. The offer you get over the phone is guaranteed and if you don’t like the amount, there is no obligation to go with us. We’re just happy you gave us the opportunity to gain your business. If you do decide to take the offer, we’ll get you setup in our system and our dispatch will contact you shortly after. The dispatcher will get you scheduled in for a good pickup time that works best for you. A driver will arrive at that scheduled time with payment in hand. You’ll be walked through the process as far as where to sign, and then you’ll be paid on the spot, and the driver will hook up your car and tow it away! It’s seriously that simple! Call us now to see how much cash you can get for your clunker.